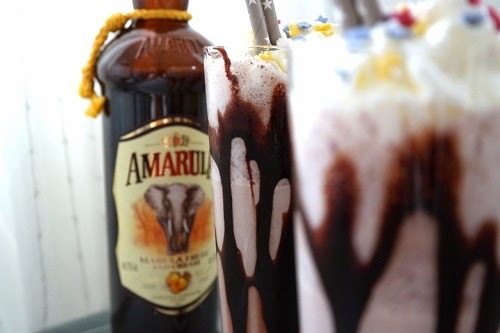 Amarula is a South African cream liqueur made from elephants’ favorite fruit that grows on the marulatreet. 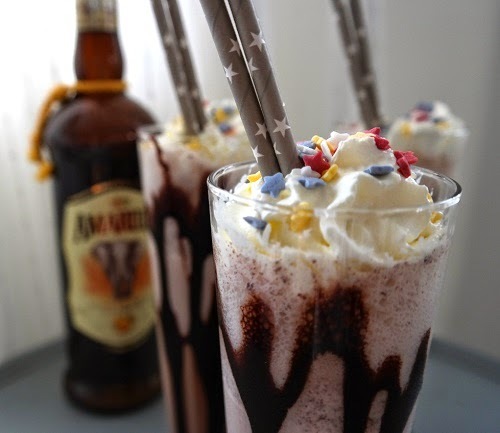 The kids wanted chocolate shake and I wanted to put a little extra in mine, so I made some with a bit liqueur and some without. 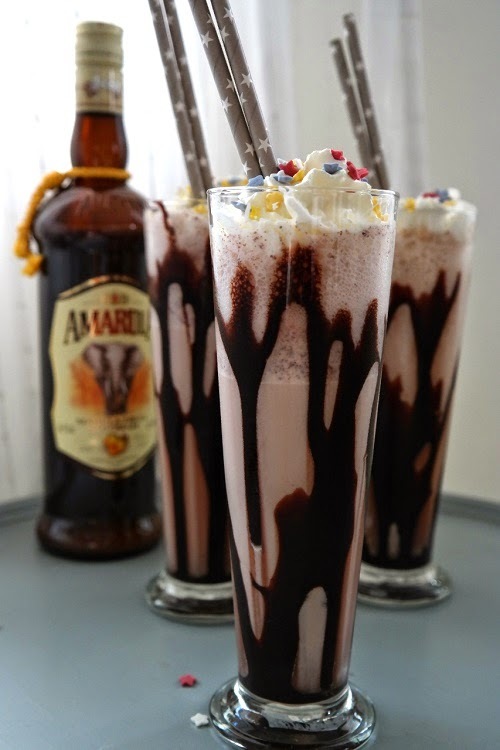 Pour chocolate sauce along the sides inside of the glass and pour shake in and garnish with whipped cream and cake decorations. For children make it without the liquore.